In order to enjoy life to the fullest, one needs ample time. And the surest ways of saving time is to live at a place that is conveniently located. 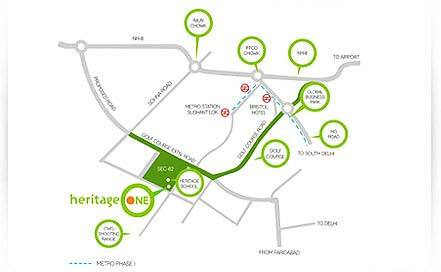 Heritage One is at one of the most sought after locations in Gurgaon. 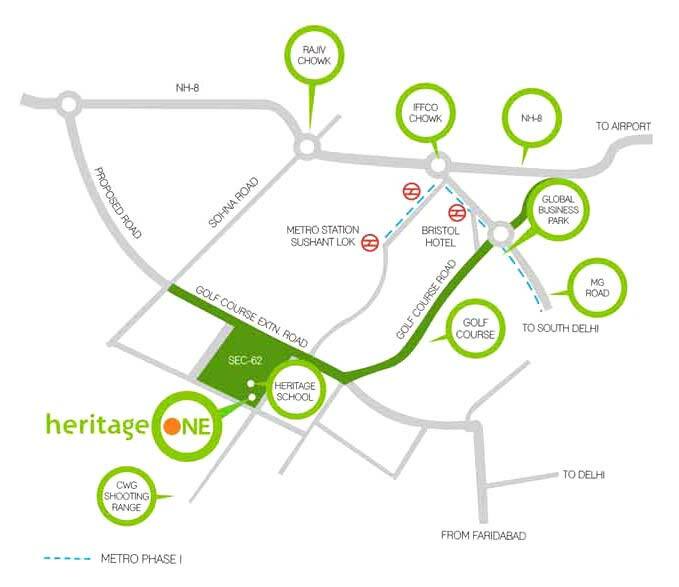 Not only is it on its way to becoming the most elite residential address in Gurgaon, it also enjoys close proximity with several local landmarks.